Hero and producer Nandamuri Kalyanram has turned a year old on Thursday and he has celebrated his birthday with his family. 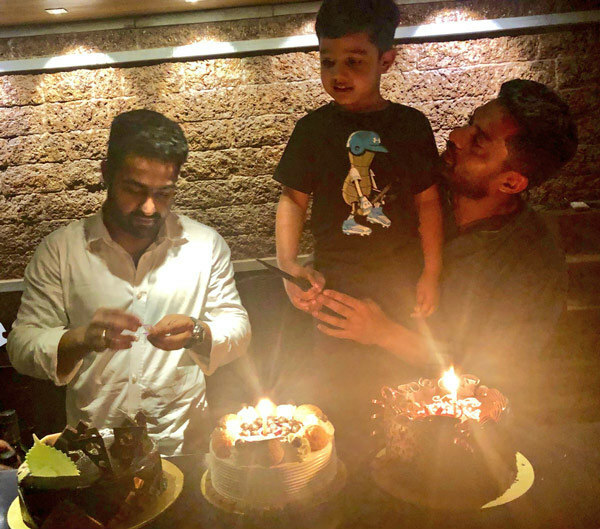 Kalyanram was joined by Abhay Ram for the cake cutting and a picture of both them is being shared in the social media. Jr NTR is also seen in the picture and he is busy lighting up the candles. Kalyanram always prefers family first and he is a no show man, confined to his own space. Meanwhile the first look of NKR16 has garnered good response.